HI! This is my first BMW and I've just quit my job to ride around the world. 3) Majority will be road riding, but when I get to the middle east, the stans and places like India and Burma, I'm going to need something that can handle it - so AltRider protection will be among my first mods. I enjoy mine but wouldn't be my choice for riding around the world that is for sure. HI Winger. Any points/issues you can highlight? Too highly strung you want a cart horse for what you are going to do not a race horse,I'd be looking at a Tenere 1200 Yamaha or the dreaded GS,I'm not saying you couldn't do it on an XR but given the choice I'd go for other options. An F800GS or a 600 Tenere would be my personal choice. You want something light that you can bolt loads of luggage and crap to, and not worry about leaving outside in less secure countries. Just my 2p. PS, you're a lucky sod, and I hate you! Both excellent bikes. Or maybe a 660XT. Regarding weight I'm actually going to travel very light (not my first adventure). After months of research I will be going for soft luggage as it's more flexible depending on what happens, and when the bike tips (coz it will) it's easier on the frame. Yea but it wasn't his R1 was it!! If I was doing it I'd go on a 660 Tenere and I say that as 660X owner. 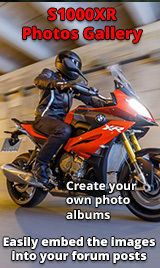 Have look on XT660.com all you will ever need to know and some.